Alvaro Quiros, the 2009 Portugal Masters winner, has bombed his Callaway FT-5 Driver to emerge as the 2008 Longest Driver on Tour. The Callaway Golf Staff Professional was recognised for the achievement at the annual Genworth Statistics Awards Dinner in Valderrama recently. Quiros, 25, powered his way to victory at the Portugal Masters with his Callaway FT-5 Driver, averaging 320 yards from the tee. And the latest year-end statistics reveal that the Spaniard averaged a massive 309.9 yards, a full 6.5 yards ahead of his nearest rival. 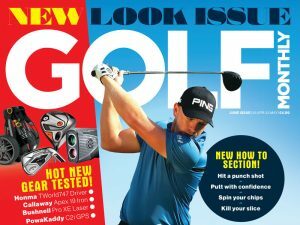 “My Callaway FT-5 driver has given me great confidence to go for my drives and hit it a long way all year,” said Quiros. That’s bad news for his rivals and worse still is the prospect of the big-hitter having the choice of the new Callaway Fusion FT-9, the new Callaway Big Bertha Diablo and the recently launched FT-iQ. The new Callaway FT-9 driver introduces Hyperbolic Face Cup Technology to increase ball speed across the entire face. With Callaway’s largest ever face, the FT-9 driver is shaping up as the longest and most accurate driver – a dangerous combination for the already long Quiros.